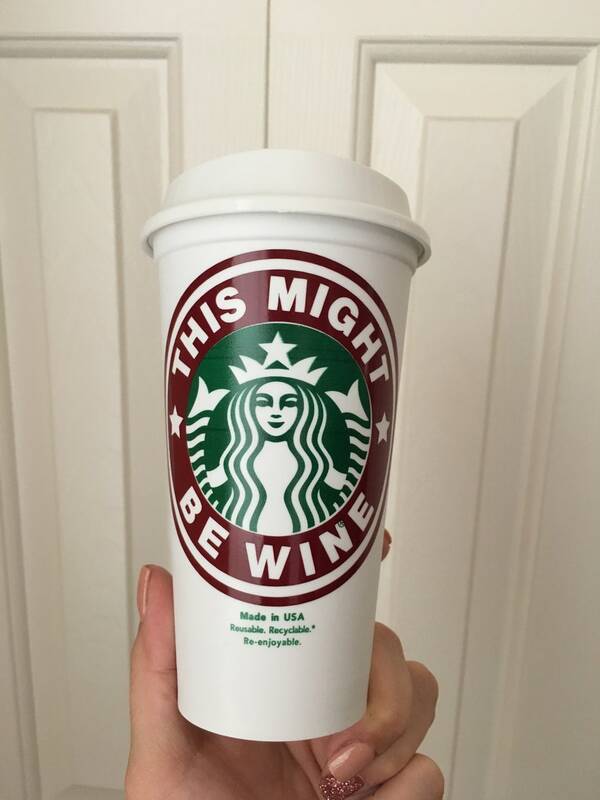 16oz re-usable Starbucks coffee travel cup with text. I can make it say anything you'd like. Please leave your request at checkout in the note to seller box.